Ethnic music is basically the same terminology for Folk or World music, it’s traditional music passed down from generation to generation thus making up the unique sounds of different cultures, regions and eras. Us Metalheads are no strangers to ethnic music, as Folk Metal itself is an extremely popular subgenre in the Metal world with its unconventional Folk instruments and Folkore visual / lyrical themes which have become an essential part of the Metal subculture. 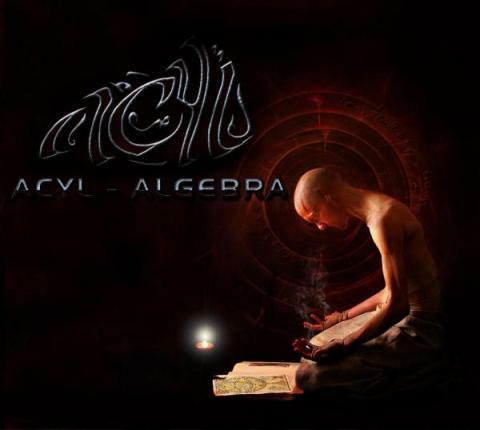 That’s why Metal’s fusion with Ethnic music is usually a successful endeavor, one which French/Algerian Metal band Acyl (أصيل in Arabic meaning “genuine”) has taken up with their newest release entitled “Algebra” which was released on January 30th 2012. Acyl’s heavy technical and staccato riffs are most reminiscent of Lamb Of God, Nevermore and Meshuggah, but the overall musical package and production is entirely different. The traditional influences form most of the music, thus creating an interesting contrast of old vs modern instrumentation. Here’s an example of that in this official video for “Ungratefulness” from “Algebra” (which references the famous Tunisian historiographer and historian IBN KHALDUN). “Ungratefulness” does feature the best elements from the entire album, but I would personally recommend “Head On Crash” for first-time listeners, basically because the song kicks off with fast double pedals and heavy riffing, which will convince any Metalhead to give the band a chance (the Oud parts in the middle are merely the icing on top of the cake). From a cultural perspective, the band puts much focus on their lyrics, song titles and graphical creations, all inspired by the rhythms and energy of the Maghreb‘s Arab-Berber, which are the center of Acyl’s music. As a band mixing Ethnic with Metal music, what do you think separates you from the likes of Orphaned Land and Arkan? A part from the fact that we all mix Metal and World music, everything is different, our music is based from our origins which are not totally oriental, it’s inspired from our traditional Maghreb-Arab-Berber music witch are played differently and that follow rules totally different than the oriental music which inspired Orphaned Land. The traditional instruments that we use are not the same and those that are similar are both tuned and played in a different manner. Moreover, our music is created as traditional songs primarily and evolves into Metal, not the inverse. The theme of « Algebra » talks about what the Arab-Berber – Islamic civilization brought to modern society in terms of science, literature and philosophy. Philosophers were completely influenced by religion at that time. It’s almost impossible to speak about that heritage without speaking of religion because they are so intertwined. That’s why you have the impression that we have religious references in our lyrics. In regards to Ibn Khaldoun, he is one of the most well known historians and philosophers of his time. He is the father of modern Sociology and he was never known as a religious man. And because he is the perfect representation of what the Islamic civilization brought to the modern world, he was referenced in the video “Ungratefulness”. How was the recording process and the whole collaboration with Maghreb’s Arabic/Berber group? It was really fun and a very instructive process. We worked with amazing, multi-talented artists who impressed us with their musical competence but also their authenticity and their sincere interest in our project. The majority of the ethnic parts were recorded in Algeria and the Metal parts in France, in collaboration with Brett Caldas Lima of Tower Studios, who really understood what we wanted and did a great job mixing the two styles, not an easy thing to accomplish. Do you think that Oriental Metal is better appreciated in Europe than in the Middle East? 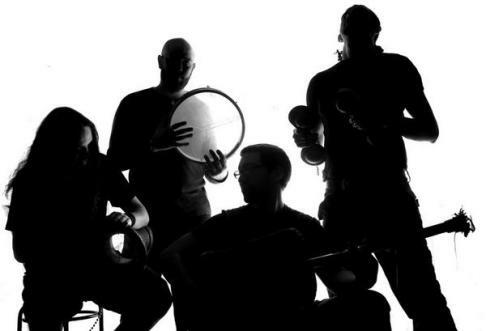 It’s evident that Middle Eastern Metal fans seem less interested in their own Folklore music. I can’t speak for the Middle East, but where I am from, in Maghreb, you can be a fan of Metal, Rap, Electro or any form of modern music, but our traditional music is so integrated into our lives, it’s in our veins, so to speak. Our ancestral music has stood the test of time and remains the common denominator of the people in this region, so it is impossible not to appreciate it in its original form or mixed with another modern sound. We want to thank you for what you do for music in general and for Metal particularly, we thank you for your interest in ACYL, a big shout out to the readers of “Lebmetal.com” and we hope to see you very soon at our upcoming concerts. All the news and details are available at www.acylband.com and don’t forget to …. Stay authentic!! !